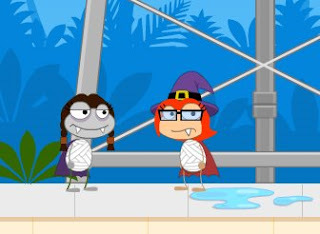 If you haven't found your Halloween costume yet, check out some of the Poptropicans on main street and find what works for you. There's a new mini-game on 24 Carrot and Spy Island! Can you collect all of the cereal pieces in just five hops? You can now change your mouth using the Costumizer! 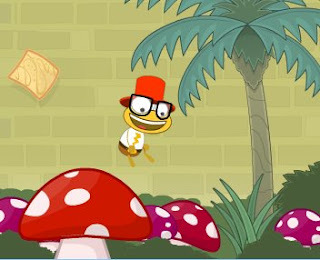 You might also notice some new hairstyles and outfits around Poptropica! Grab your Halloween costumes now!!! 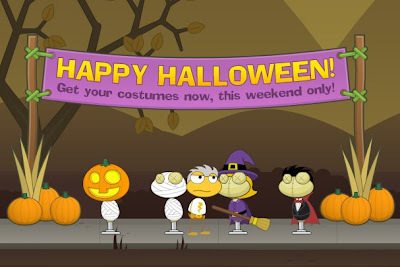 The Halloween costume display will only be available this weekend. 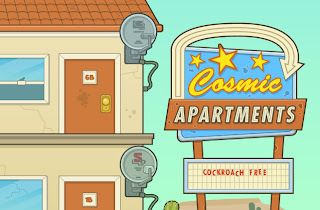 After that, you'll have to "costumize" them in multiplayer rooms. Get the Design Your Own Jack-O'-Lantern widget and many other great free widgets at Widgetbox! Here is a sneak peak from an upcoming island.